Our approach to eradicating parasitic intestinal worms is scientific, respectful & effective. 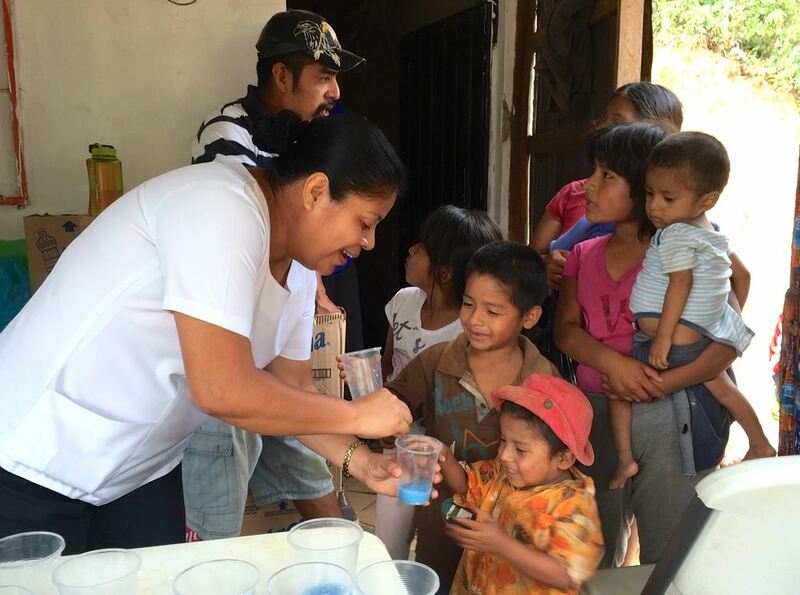 The need: During our first visits to the regions of southern Oaxaca, we saw signs of widespread intestinal worm infection - distended abdomens, malnutrition, and lethargy. Scale & scope: Our medical clinics now serve more than 3,000 people from remote mountain communities in southern Oaxaca, Mexico. Food aid: We offer our medical clinics in conjunction with our emergency food distribution program to maximize participation rates. Families receive monthly food staples, such as beans, rice, and cooking oil. Testing: Results from random and regular sampling of children, ages 2-12, scientifically demonstrates the effectiveness of our treatments. Treatment & partnership: Mexican and American medical professionals work together to treat children and their families twice yearly. Vitamin boost! Following treatment with name-brand albendazole, children are given chewable multivitamins to help with medicine absorption and overall wellness. 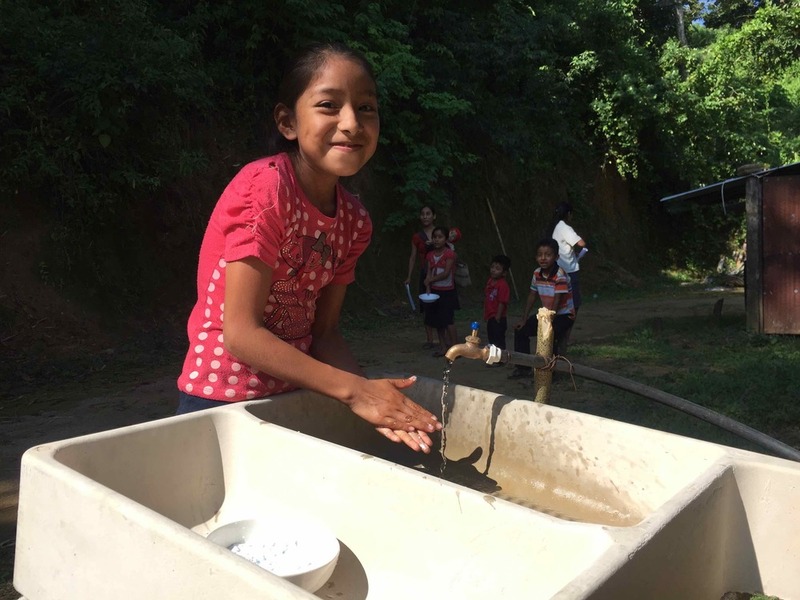 Hand-washing: Providing proper hand-washing stations drastically reduces reinfection rates. Latrine construction: We've proven the source of infection in this region: direct contact with human waste. Basic pit latrines cost little to construct, yet are highly effective at preventing reinfection. Education: Instructional pamphlets, signage, and in-person consultations teach methods of prevention. Demographic collection: We collect demographic data that allows us to target communities most at risk for parasitic infection in order to provide the most effective, targeted course of action. Working under the guidance of epidemiologist and former Simply Smiles Board member, Dr. Gil L'Italien, with support from medical professionals from the local community in southern Oaxaca (nurses Bernarda Lopez Ordaz and Yael Lopez Ruiz, as well as Dr. Guadalupe Yanet Rivera Castellanos), Dr. Javier Coindreau of Pfizer, EpiSource (an organization that supports pharmacoepidemiology studies), and the University of Connecticut Health Center, we have worked to significantly reduce the parasitic infection rate in the region since 2013. Click on the map to explore the 137 completed latrine projects in Oaxaca, Mexico - funded by our Simply Smiles donors! We will continue to add to this map as we complete more latrines. use two fingers to zoom in and out when using a phone!